After months of speculation, EU institutions last night agreed the wording of a proposed Directive on Copyright in the Digital Single Market, which risks journalists being deprived of their authors’ rights and denied ‘’proportionate remuneration’’ for the work they do. The new proposal does introduce the principle of an appropriate and proportionate remuneration for all authors, including journalists, place transparency obligations on publishers and open up the possibility of alternative dispute mechanisms which could avoid lengthy and expensive court cases. 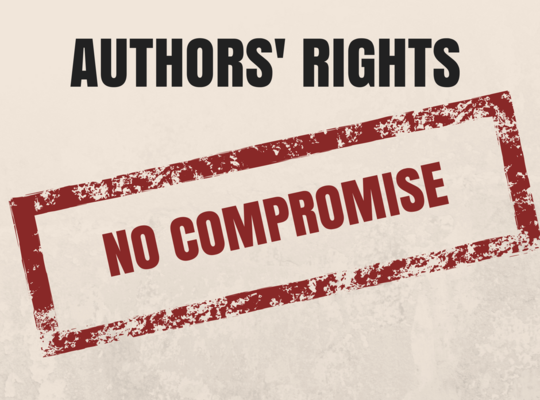 It also allows authors to be represented by their unions in that process. 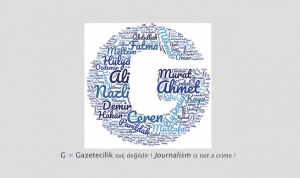 The International and the European Federations of Journalists (IFJ/EFJ) consider this part of the directive an achievement for authors overall, but also highlight the grave risk that journalists will be deprived entirely of all their authors’ rights through the introduction of the so-called “protection of press publications concerning online uses”. We therefore firmly urge the Council and the Parliament to take into accouny that publishers and journalists have agreed that journalists must be remunerated for the payment related to article 11. While the directive acknowledges an obligation for journalists and all authors of the works incorporated in a press publication to receive an “appropriate share” of the revenues press publishers receive for the use of their publications online, it enables publishers to avoid such requirements by relying on existing “contractual arrangements” and “laws on ownership”. Such moves could deny journalists any revenue arising from the re-use of their work online. These discriminatory provisions and proposals contained in Article 11 and Recital 35 of the text have to be removed from the Directive in order to support authors in the press sector in obtaining fair and proportionate remuneration for their work under this law or in future national legislation. Instead they boost the system whereby powerful publishers force employed journalists and freelancers alike to sign contracts giving up all their rights – thereby offering them a proportionate or appropriate share of nothing. 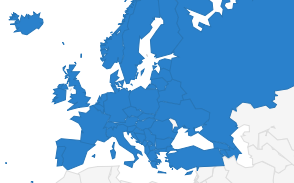 The EFJ welcomes the new article 9a which safeguards the extended licensing model as a model for future licensing in the digital area to ensure remuneration of journalists. 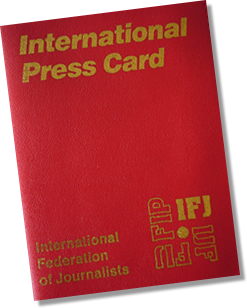 IFJ General Secretary Anthony Bellanger, said: “This deal is good news for the industry and for authors in some sectors, but it makes a mockery of journalists’ authors’ rights, promoting buy-out contracts and bullying to force journalists to sign away their rights and giving publishers a free ride to make more profits from journalists’ work while the creator receives nothing. It is bad for journalism and bad for Europe. Agreeing on it, EU institutions have either been naive or have cynically betrayed the values of fairness and social justice Europe is meant to stand for”. EFJ General Secretary Ricardo Gutierrez said: “This is not the text we were hoping and fought for. We call on the Council representatives and the European Parliament to decide wisely and reject any discriminatory provisions in it”. A final vote on the proposed directive will be held by the European Parliament in the Spring.